Many people get a tattoo done in their teenage years and consider it to an act of expression and even rebellion. Sometimes, this thrill from the past becomes a bit of body art that people can do without and want to get rid of. Almost 50 percent of individuals with tattoos consider removal due to various reasons. Since tattoos are meant to be permanent, they are not that easy to get rid of. Here is where laser tattoo removal is considered to be the best way to eradicate tattoos. It is a safe, non-invasive and effective way to eradicate tattoos. In the past, people have tried various treatments to get rid of tattoos, but have failed to achieve the desired results. Most procedures involve a lot of pain, scarring and the risk of side effects. Procedures like dermabrasion, cryosurgery, chemical peels and surgery involve the risk of scaring after the procedure. However, today, tattoo removal procedures have evolved over the years. Potentially skin-damaging procedures have now evolved into safer and more sophisticated methods that use laser technology. Q-switched laser tattoo removal is one of the best examples of this. Removal of tattoos with Q-switched lasers has become one of the most widely used treatments in the last decade. The procedure is performed at the doctor’s clinic, by a specialist. 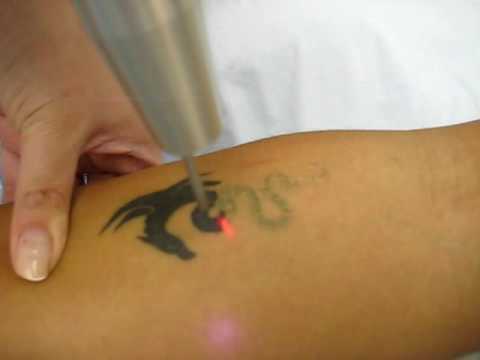 During the procedure, the laser beam of light penetrates the skin and targets the ink, breaking it down into tiny particles, which are absorbed by the body. These particles are then flushed out from the body by the body’s immune system. The number of sessions required depends upon factors like skin tone, size of the tattoo, and ink used. Taking these factors into consideration, patients should expect to undergo 5 to 12 treatment sessions, spaced across a couple of months. Laser tattoo removal works differently for patients. Colors like black are easier to remove, while fluorescent colors like purple and green are very difficult to erase. Removing a tattoo is always more expensive than getting one done. Laser treatment in particular is usually more expensive than other treatments. The cost per session for a small tattoo is usually around $80 to $100. However, patients can confirm the exact cost per session during the consultation session with the specialist. In spite of the discomfort, time, and price involved, the results from the procedure definitely make the treatment worth the cost. A good way of going about the treatment is comparing the prices of different laser treatments and opting for the most affordable one. Depending upon the design, shape, and location of the tattoo, laser treatment is the only procedure that guarantees results. The treatment is considered as a safe and effective way to get rid of unwanted tattoos, without the risk of scarring or side effects after the procedure. 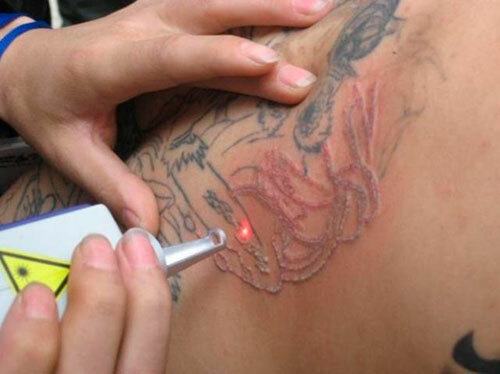 To know more about laser tattoo removal, locate the nearest center and fix up an appointment with a specialist.